Despite being a tiny country, many international brands from various industries (fashion, beauty, sports, etc.) have set up their stores all over Singapore. Step into any shopping centre in Singapore and you’ll see rows of retail shops by luxury brands including Chanel and Givenchy as well as high-street brands like Mango and Uniqlo. From the beauty industry, we have the ever-famous Sephora outlets of course, as well as drugstores and beauty counters in department stores. However, shopping in Singapore can sometimes put a little bit of a dent on your wallet as the prices here can get pretty costly, especially when it comes to beauty products. The price of makeup, for instance, can sometimes be jacked up to twice the original cost due to the addition of shipping and import fees. Whether you’re a local, tourist or a foreigner who has made Singapore your home, it’s always worth it to figure out other ways to purchase makeup at a more affordable price tag. If you’re a Sephora member, you’d know all about the store’s always-anticipated private sale for its loyal customers. Usually occurring two times a year, the Sephora private sale usually offers a 20% discount off all items in every outlet as well as its online store. The sale is only offered to members who are under the Black and Gold Card programme; trust us, you want to be fast when the sale comes around. We’d recommend purchasing your items online rather than going to the store because it can get extremely crowded. Plus, you’ll have to deal with the snaking long queue which, unless you have the ultimate patience for, can get downright frustrating. Thus, the day before the sale begins, browse through the Sephora website and add the products you wish to buy to your wish list. Then, on the day of the sale, all you have to do is add the items in your wishlist to your shopping cart and you’re all set. If you’d still rather buy your items at the outlet, we suggest going to the store a few days beforehand to see what you’d like to get. 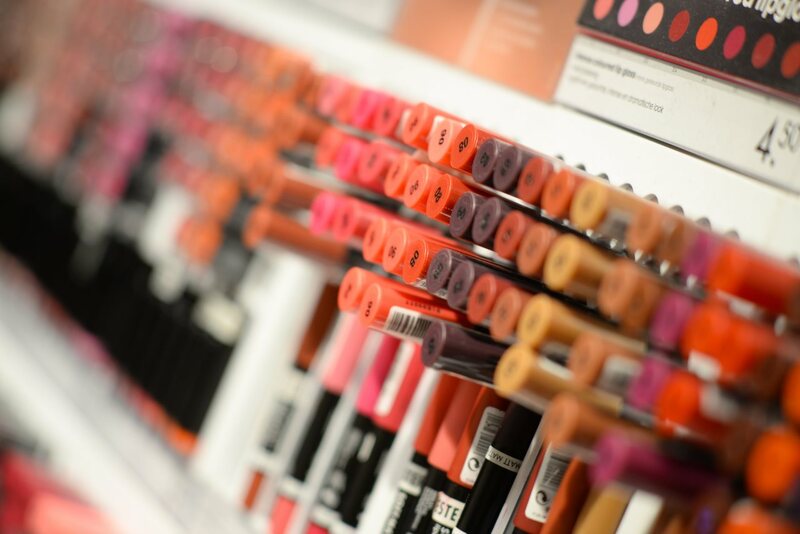 Do all your swatching and testing of products beforehand, make a list of what you want to buy, and when sale day comes, just grab everything you need and dash for the counters. Despite many popular beauty brands being available in this little red dot, the prices of the products sold in Singapore can at times be more expensive. Take the products from drugstore brands, for instance. A tube of mascara from Maybelline might cost less than US$10, but in Singapore, the price can be jacked up to almost twice the price than in the US. And if you didn’t know it already, you shouldn’t be paying that high of a price for an item from the drugstore. Therefore, to get around the high prices you have to pay when you live in Singapore, get your beauty purchases from international websites instead. Look Fantastic, Beauty Bay and Beauty Expert are just some online beauty sites that sell items from drugstore brands at a much cheaper price. Sure, purchasing online means you’ll have to wait for your items for a longer period of time, but for the amount of money you’ll be saving, the wait will be worth it. The great thing about stores like Sephora as well as online beauty sites such as Beauty Bay and Look Fantastic is that most of the beauty brands you need are available in one place. Thus, it saves you the time from having to go to different places to get your makeup fix from a variety of brands. However, as convenient as this is, you might not realise that it can sometimes be cheaper to purchase the makeup products directly from the brand’s website. For instance, a liquid matte lipstick from Huda Beauty costs S$40 on the Sephora website. However, on the Huda Beauty website itself, the same lipstick only costs US$20, which is about S$27. That’s almost half the price offered at Sephora! Furthermore, the brands’ websites will offer their own discounts sometimes, which means you can get your products at an even cheaper price. It’s hard to keep track of every sale that goes on in each store or website, but luckily, there are now Instagram accounts that do this tracking for you. Accounts such as @trendmooddeals and @budgetbeautyguru will update their followers on the latest beauty sales going on in the US. The sales will usually occur during the major holiday period such as Christmas Day, 4th of July, St. Patrick’s Day as well as Black Friday. If you’re fortunate enough, you might chance upon discounts that go as high as 30 to 40% off. Now, that’s definitely not a deal you should miss out on! So, go ahead and turn on your Instagram notifications to ensure you’ll always get a hand on these attractive sales. This final method for you to purchase affordable makeup is probably the hardest to find out. Unless you somehow get to know about them through social media, word about wholesale events usually only gets around through word of mouth. Wholesale events can occur at any time of the year, although most usually take place when the holiday season is approaching. It’s definitely well worth it to keep track of these events as the prices of the products can get really cheap and they might even stock luxury beauty brands such as Chanel, Bobbi Brown and Dior.